Terrence Malick movies aren't generally associated with chainsaw-wielding maniacs, or intense violence of any kind really, which is why we're trying and failing to make sense of the new photo from the set of his upcoming movie. 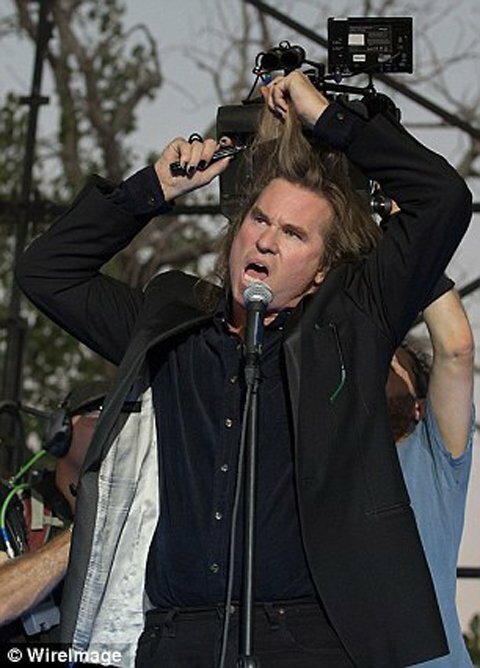 With the Fun Fun Fun Fest happening in Austin, Texas, Malick and his actors are on hand to shoot scenes on and around the concert stages, for a film that apparently involves live music (as per usual, Malick isn't saying anything about the film's plot). 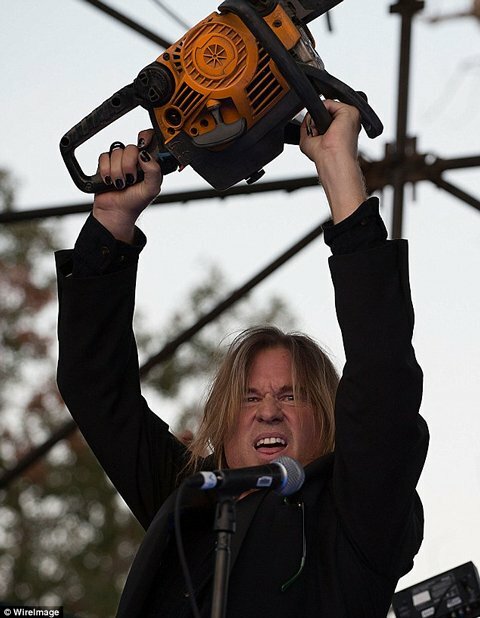 But while it's one thing to spot Ryan Gosling in the crowd at a concert, it's another entirely to see Val Kilmer onstage, pretending to be a rock star and wielding a chainsaw. Rooney Mara was also up onstage as part of the fictional band, but her look was a whole lot more typical-- beanie hat and minimal makeup. The Daily Mail reports, though, that she was shooting a scene in which she was kissing Michael Fassbender, while just a month ago she was kissing Ryan Gosling in a different scene, and Fassbender was paired up with Natalie Portman. How many romantic pairings is this untitled movie bringing us? And is it more than an excuse to see a bunch of attractive actors make out? Not that I have a problem with that, but Malick is usually known for bringing a bit more to the table in his films. Malick, the director once famous for taking a 20-year break between films, is so insanely busy right now you'd hardly believe it's the same actor. His latest film To The Wonder premiered in Toronto in September, and he's editing his next film Knight of Cups while shooting this untitled one. It's fair to wonder if this prolific burst of activity is weakening the quality of his work, especially after some harsh reviews for To the Wonder, but we've got two more chances to test it when these other new films emerge in the next year or so. 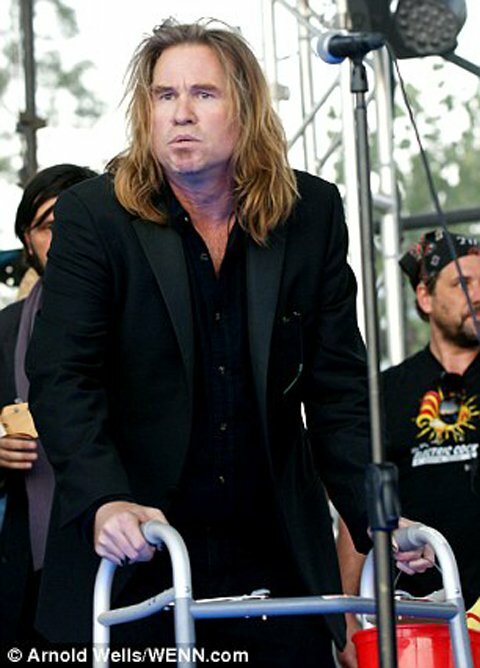 Hopefully they'll come with an explanation of what on earth Val Kilmer is doing with that chainsaw.